When you decide to get a trampoline for your family, you obviously want to choose the one that will be safest for everyone. To find the safest trampoline, you will probably review trampoline ratings and take a look at customer reviews. Additionally, you can compare and contrast a number of trampoline yourself to see which one will work best for your family. Below is a comparison of three of the top rated trampolines so you can see which one offer features that will make it the safest trampoline for you and your family. Possessing many of the safest features, such as reinforced t-sockets that prevent the enclosure from twisting and a durable steel frame, the Skywalker 12-Feet Round Trampoline and Enclosure with Spring Pad is considered one of the safest trampolines for kids. The enclosure is the ideal feature for anyone who has small children, which will prevent them from falling off of the trampoline. Another feature that makes the Skywalker 12-foot round one of the safest trampoline is that the enclosure is connected to the jumping mat with a button-hole design. 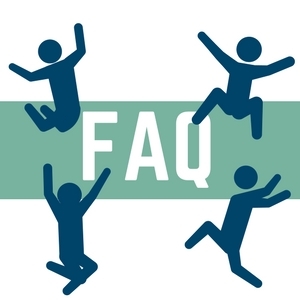 Not only does this create a gap free jumping area, but it also means that the enclosure doesn’t have any unnecessary ropes or threads hanging. Furthermore, by the enclosure being attached to the jumping mat, it prevents little ones from accidentally falling and injuring themselves on the frame or spring. The enclosure features a zipper, so young children stay inside when they are playing on the Skywalker trampoline. If your children are teenagers, you will appreciate the heavy duty mat that can withstand a lot of vigorous jumping. This trampoline is made with 6 W-shaped legs that add to the stability of this product. There is a 200-lbs. weight limit, so only one adult and child can mostly likely jump at the same time. Compared to other trampolines, the Skywalker 12-feet is smaller, but for the price, you can’t go wrong. Similar to the Skywalker 12-feet, the AirZone 12-Feet Outdoor Spring Trampoline with Mesh Padded Perimeter Enclosure features an enclosure that works great for families with small children. In addition, the AirZone possesses the 6 W-shaped legs that deliver 12 places for this trampoline to sit firmly on the ground. Both, the Skywalker 12-feet and the Airzone 12-feet have enclosures that are connected to the jumping mat. The difference is that while the Skywalker 12-feet trampoline’s enclosure is connected to the jumping mat with a buttonhole design, the AirZone 12-feet outdoor trampoline’s enclosure is secured to the jumping mat with sturdy rope ties. However, since this is an AirZone product, a company that is well-known for creating products that are ASTM tested for durability the safest standards, this trampoline from them has a patent pending on the enclosure ties to make sure that having rope ties will not be an issue with young children. Individuals that are mechanically challenged will be happy to know that the AirZone 12-feet outdoor trampoline is easy-to-assemble and requires no extra tools or drilling. It is in the same price range as the Skywalker 12-feet and has a 200-lbs. weight limit as well. Because of its testing and features, the AirZone 12-feet outdoor trampoline, just like the Skywalker 12-feet trampoline, is considered the safest trampoline for kids. Considered the world’s safest trampoline, the Springfree 10ft. Trampoline – R79 Medium Round with FlexrHoop and FlexrStep has numerous features to back up its claim. In contrast to the Skywalker 12-feet and the AirZone 12-feet, the Springfree 10ft. has no springs; it possesses one-of-a-kind mat rods. Therefore, you never have to worry about the springs loosening and sticking up around the jumping mat causing injury. Additionally, on most other styles of trampolines, including the Skywalker 12-feet and the AirZone 12-feet, the frame is surrounding the jumping mat, on the Springfree 10ft. trampoline, the frame is beneath the jumping mat, so there is no way that you or a loved one can fall and injury yourself, even with an enclosure. Moreover, the Springfree 10ft. trampoline has what is called a Flexinet enclosure that has flexible net rods which helps to cushion anyone on the trampoline and averts bad falls. The weight capacity for the Springfree 10ft. trampoline is 250 lbs. per jumper and the structural load capacity is 1,100 lbs. which means that you and your children can definitely jump and have fun at the same time, without worrying about tearing or breaking the frame or jumping mat. Another great feature that is exclusive to the Springfree 10ft. trampoline is the accessories that can be purchased to connect to the enclosure. If you have children that like basketball, you have the option to buy the FlexrHoop that attaches right to the top of the enclosure. Also, you can buy the FlexrStep to make getting on and off the trampoline much easier. Like the Skywalker 12-feet and the AirZone 12-feet, the Springfree 10ft. is made with UV resistant polypropylene that lets you leave it outside all-year round without rusting. The Springfree 10ft. trampoline goes a step further with fiberglass rods that are just as strong as steel and will not rust, making this trampoline last longer for your family’s enjoyment. What is the safest trampoline on the market? While it can be difficult to pinpoint which is the safest trampoline on the market, we highly recommend you go through our above review so you can take a look at our top picks and make the decision on your own based on your needs and overall preferences! Who makes the safest trampolines? Ensuring the safest trampoline begins with the manufacturer that designed an built it. Based on our top pick, we would have to say that Skywalker makes the safest trampolines. If you go back into our earlier review the 12-Feet Round Trampoline Enclosure W/Spring Pad for yourself! Which is the safest trampoline to buy? In our honest opinion, the Skywalker 12-Feet Round Trampoline Enclosure W/Spring Pad is your definite best bet. It uses reinforced t-sockets to prevent twisting of the enclosure and is made of a durable steel frame. The enclosure itself is directly connected to the jump mat using a button-hole design, making it the trampoline with nets that’s worth every dollar spent. What makes a trampoline the safest? One of the biggest issues with trampolines is too many jumpers at one time. Accidentals, such as bumping heads and falling off as a result of not being able to get up once knocked down, are the most common injuries related to a trampoline. Another major issue is kids trying to perform tricks and either land on the trampoline wrong of fly right off entirely. This usually results in concussions and broken or sprained limbs or joints. Jumping too close or on the springs is another big danger issue. If the springs are uncovered they pose a big threat to pinching fingers and toes, so make sure you get a protective cover for the springs. Always make sure that the trampoline is set up on leveled ground. The last thing you want is someone jumping on side flipping it on to themselves. What is the safest trampoline with enclosure? The safest trampoline with an enclosure netting, in our opinion, is the AirZone 12-Feet Trampoline W/Mesh Padded Enclosure. Not only does it offer the security of an enclosure, but it uses 6 W-shaped legs that are to be placed into the ground, making it one on the safest and secure trampolines on the market. 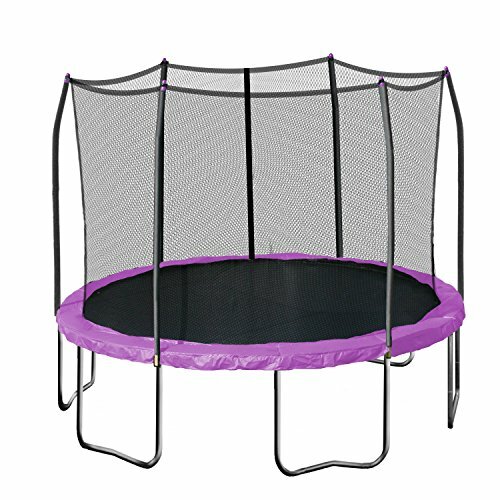 What is the safest mini trampoline for toddlers? The safest mini trampoline for toddlers always has a parental watchful eye, built with secure equipment, and a couple of different features, such as a handlebar, for example. They include a small jump pad that offers the slightest amount of bounce to help them get used to it, in case you plan on moving them to larger ones in the future! You can conduct a quick search on your own and see just how many suitable options there are out there for you. What are some good trampoline rules? Having a trampoline is great for your health, gives you a better workout in just 10 minutes compared to 30 minutes of running, and is something the whole family can use and enjoy. However, as a parent, you need to set some guidelines. Even if you don’t have kids, ground rules are still important and they still apply. Never set up the trampoline near any fences, poles, trees, etc. Following basic guidelines where the family trampoline is concerned will ensure that everyone is safe when using it. What is the safest trampoline shape? There really isn’t any definite safest shape, but the traditional circular trampoline shape is the most commonly used. The safest trampoline shape depends on whether or not you have netting as an added feature. What is the safest outdoor trampoline? Again, the safest trampoline depends on whether or not you’re using netting to ensure that nobody bounces straight off and hurts themselves. There are even trampoline net 14 foot that work for almost all trampolines, especially used trampolines for sale. What are some good trampoline precautionary measures I can take with my kids? Ensure that you do not set up the trampoline near any poles, trees, etc., as a starting measure. Make it clear to your kids that there should be no stunts performed on the trampoline. This includes back flips, front flips, handstands, etc. Another rule they must follow is that they should never bounce off of the trampoline. Make it clear that they must sit down, slide over to the edge, and hop off that way. Jumping off the trampoline is a very dangerous thing to do. Purchase and install a pad to cover the hooks, springs, and the steel frame to ensure that no fingers or toes get pinched. You should also purchase a quality net to go around the trampoline. It will catch your kid and will not let them fall off. There are also indoor trampoline for toddler fold and go trampoline sets that may be a more preferable option when it comes to providing the safest trampoline. How can I make my backyard trampoline safer? You can make your backyard trampoline safer by setting it up away from any trees, fencing, and poles. You should also purchase quality netting to go around the frame of the trampoline. It will keep anyone from falling off and hitting the ground. A pad to cover the hooks, springs, and the steel frame of the trampoline is also another idea for the safest trampoline experience possible. How much weight can a trampoline hold safely? The average trampoline can hold between 300 to 400 pounds. This is not always the case, however, as some can hold up to as much as 450 pounds. Are trampoline socks safer than bare feet? Yes, trampoline socks are safer than bare feet because they give you better traction whereas bare feet, and especially regular socks, can cause you to slip and fall on the trampoline or off entirely.